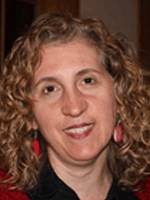 Christine Foertsch, PhD, is in private practice in New York City. She was Intensively trained in Dialectical Behavior Therapy in 1993 and has been supervised by colleagues and students of Marsha Linehan’s since that time. She began conducting workshops and other trainings in 1994 and has taught DBT throughout the United States and internationally as a trainer with Behavioral Tech, LLC. She has consulted to individual psychotherapists, inpatient and outpatient mental health units, and entire state systems. In addition to the development and application of DBT to urban and minority populations, she is also interested in educating psychiatrists and psychologists in training at her site and in the New York City area.